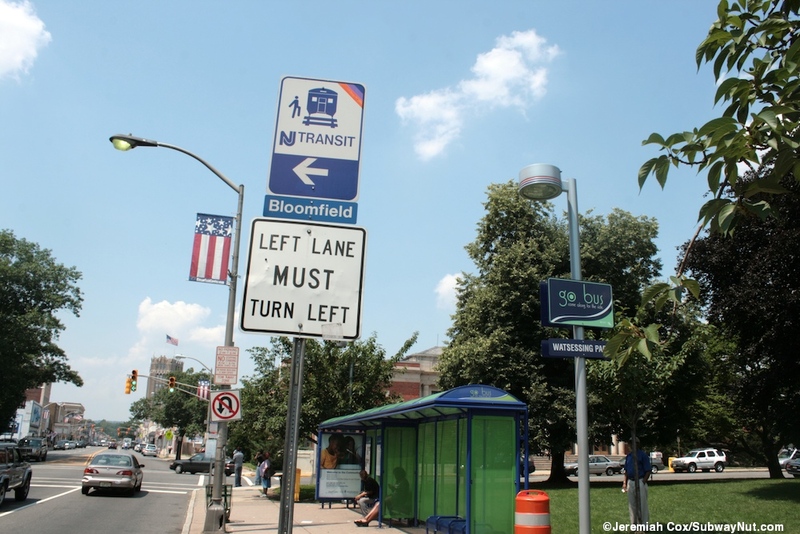 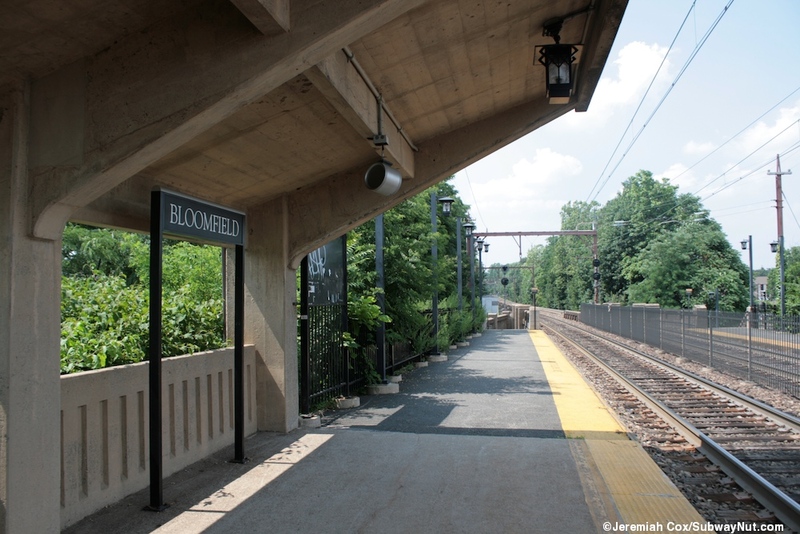 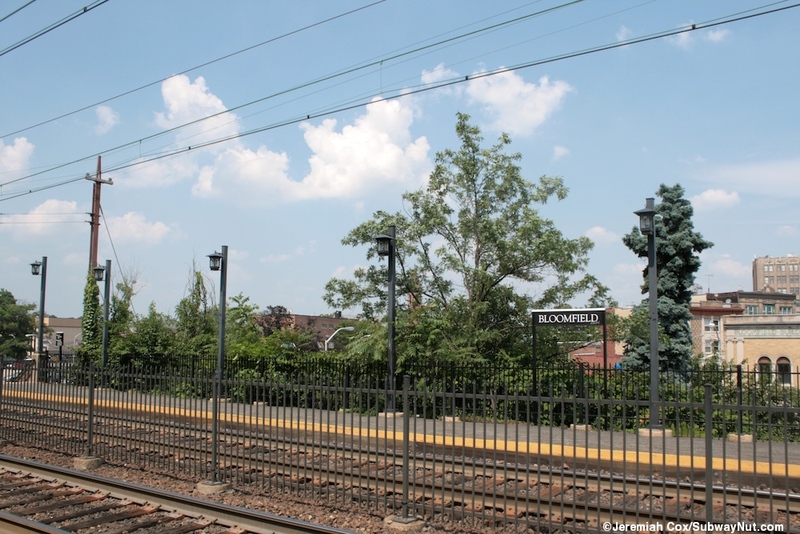 Bloomfield is a historic train station along the Montclair Branch that is along an elevated viaduct built in 1912 and electrified in 1930. 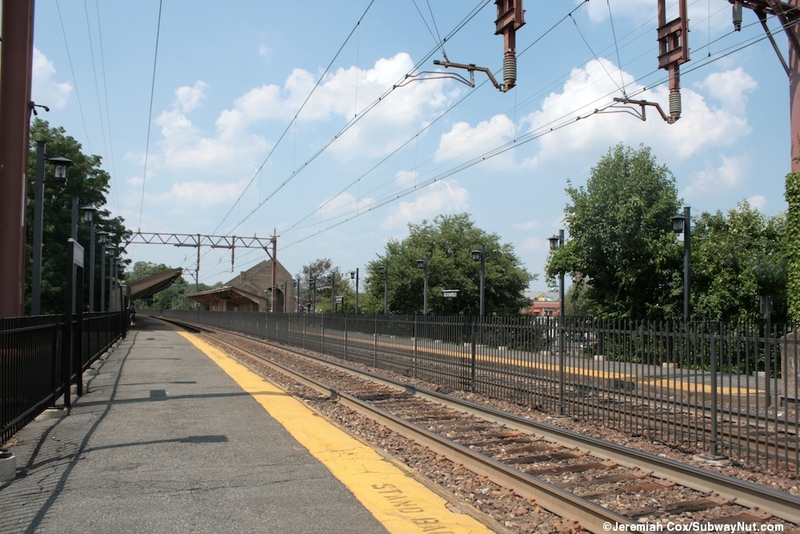 The station has two historic low-level side platforms along the two track line with a fence running between them. 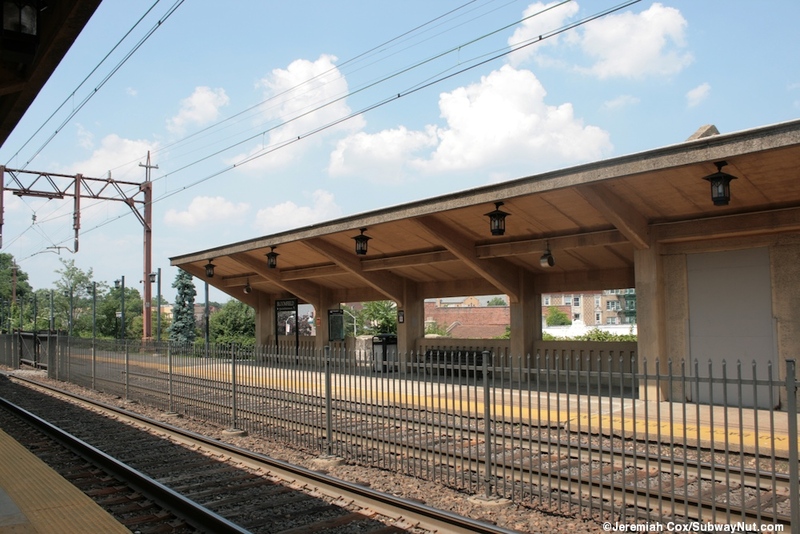 The design of the station is considered innovative for the use of concrete. 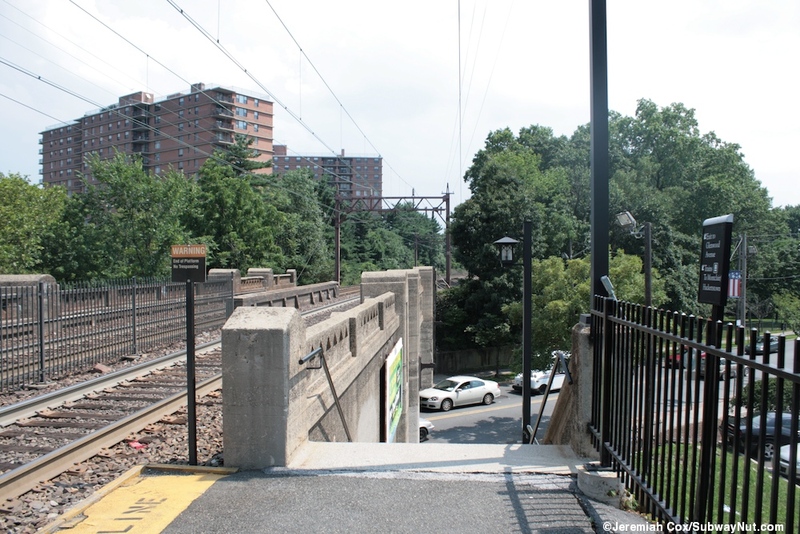 There is currently a now closed gap in the fence that was originally a pedestrian level crossing. 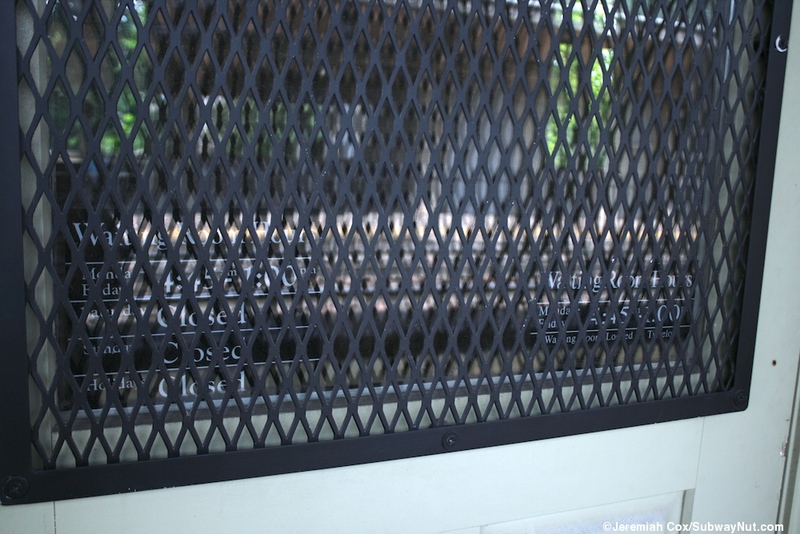 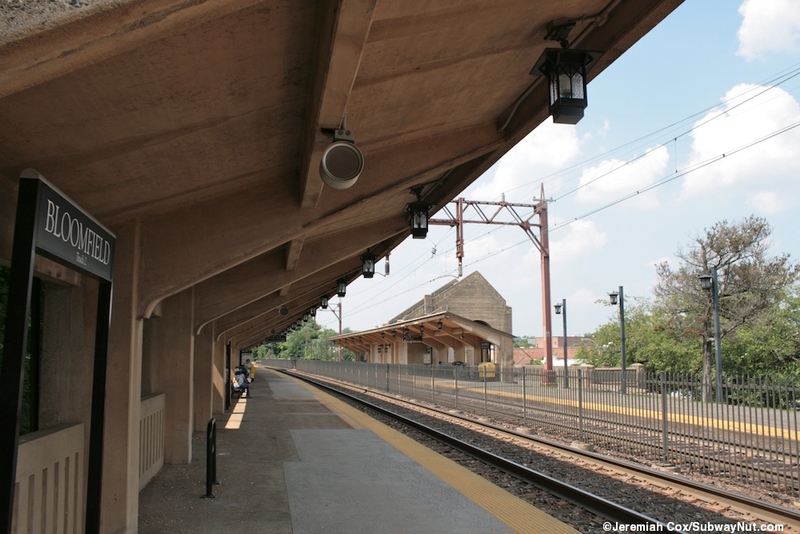 The station recently received restoration work including historic looking black square light fixtures. 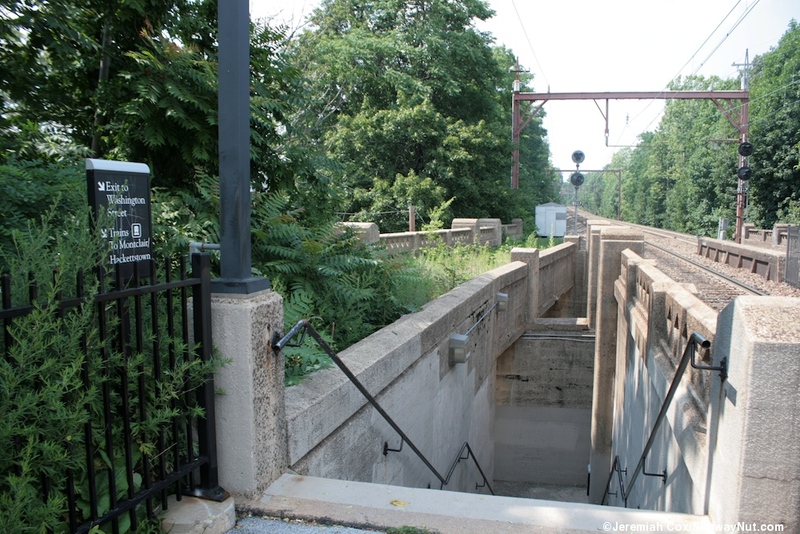 Ivy is growing along the concrete portions of the embankment at the station. 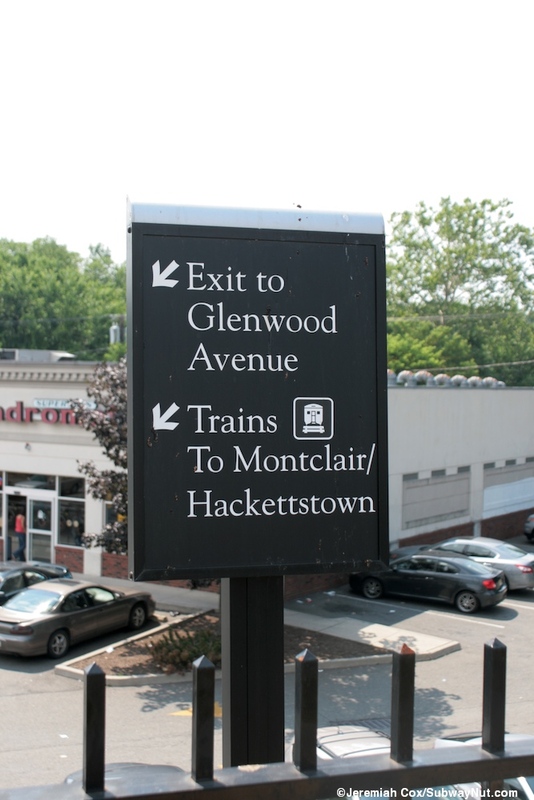 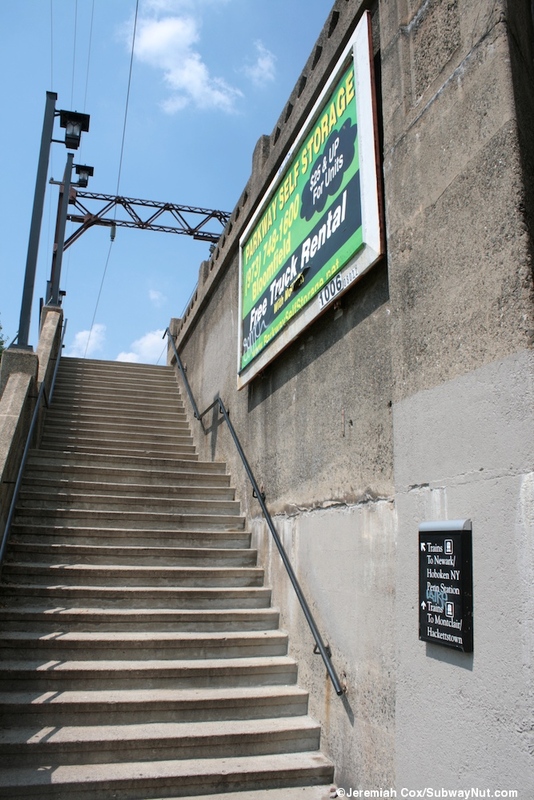 The two platforms run from the train's overpasses of Glenwood Avenue at their southern ends to Washington Street with concrete staircases off the platforms at each end. 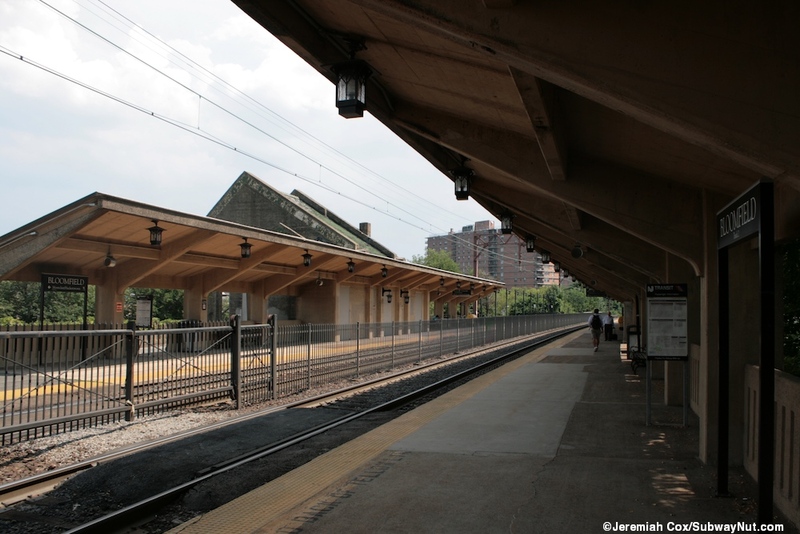 The platforms each have historic looking concrete canopies over their midsections. 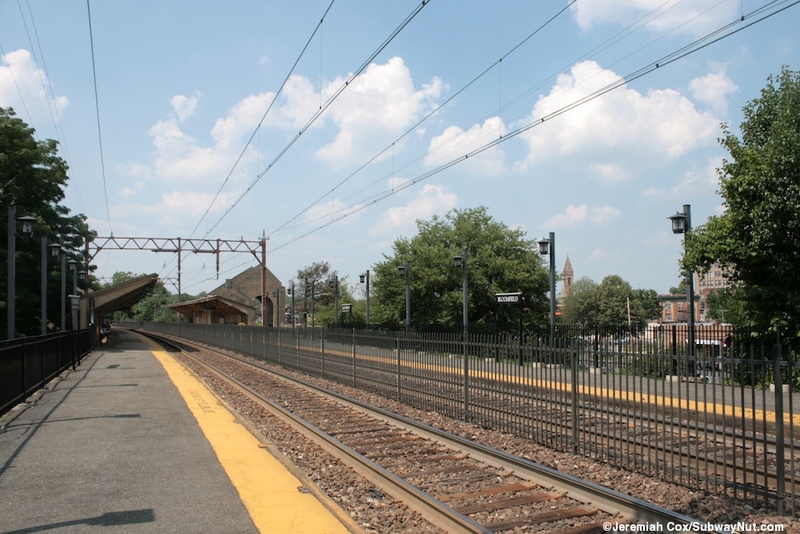 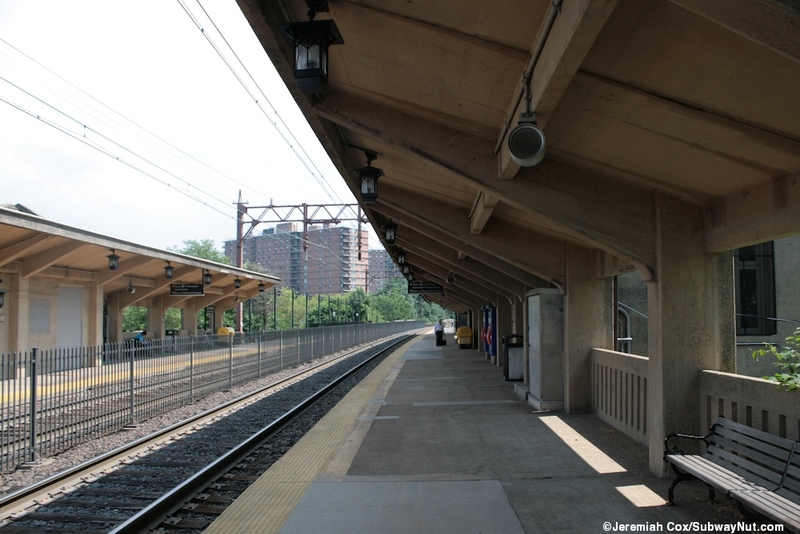 The canopy along the Newark-bound platform runs for over half its length while the Montclair-bound platform's is much shorter. 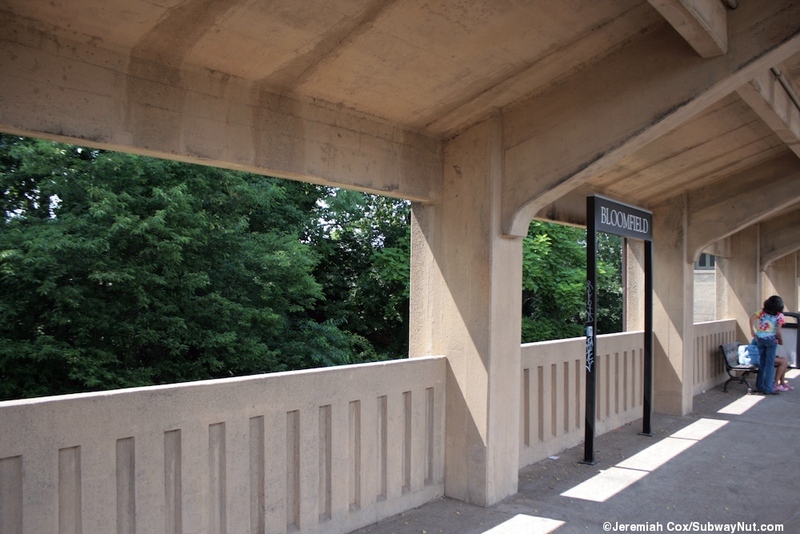 In the middle of both platforms are small concrete station houses that connect to the street down below, that I bet were once connected with a pedestrian underpass. 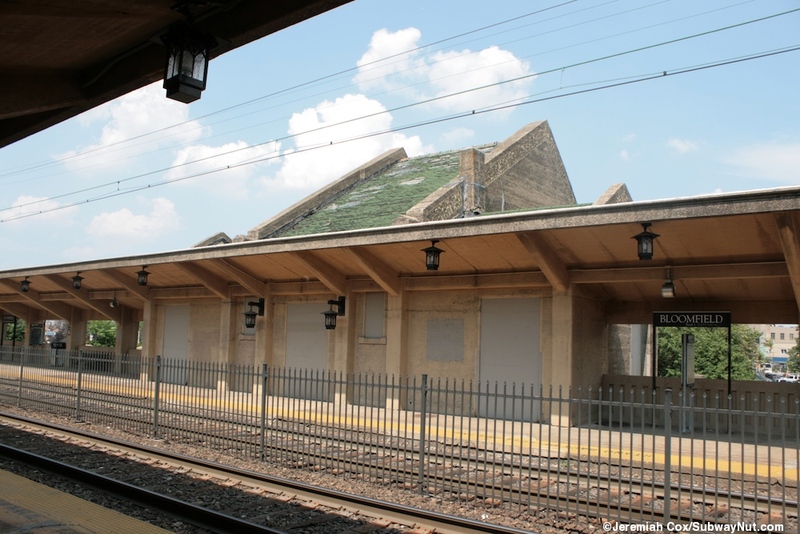 On the Newark-bound platform this concrete building is now a waiting room open from 4:45am to 1:00pm (closed when I visited). 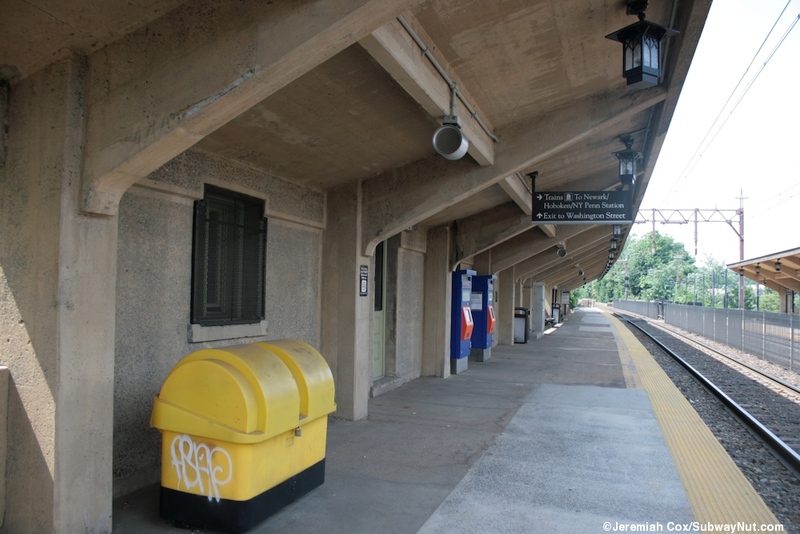 The station was completely closed in 1977 according to the NRHS document The one on the Montclair-bound platform is more interesting and is presently abandoned (with white walls where windows should be) and is privately owned. 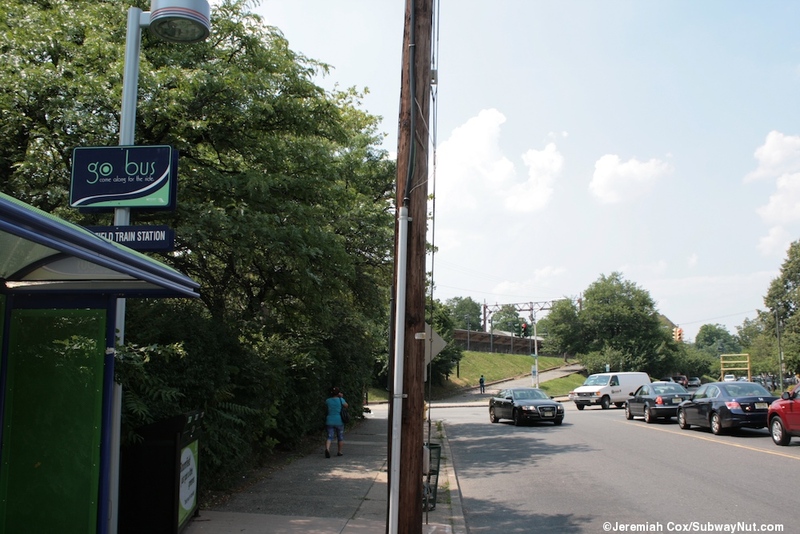 The town is trying to redevelop it. 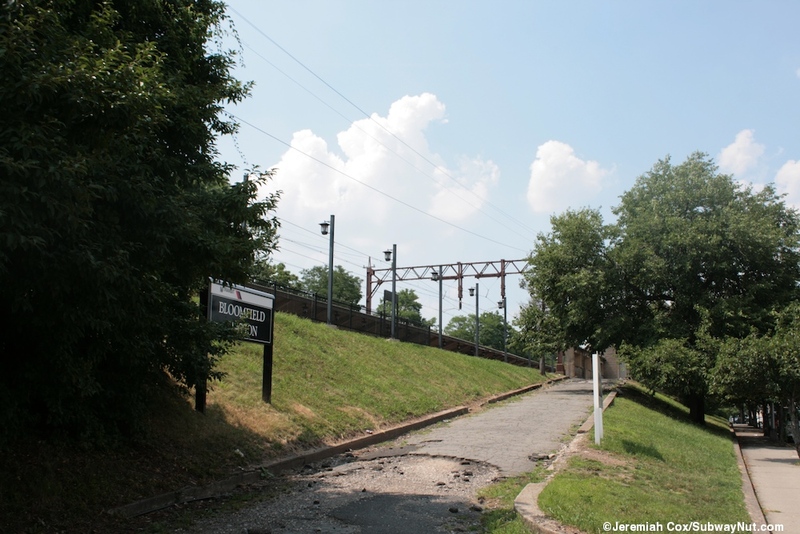 What is equally unique is a now unused driveway rises up to the station along Lackawanna Place to provide a drop-off area at the same level as the platform with the station house in between. 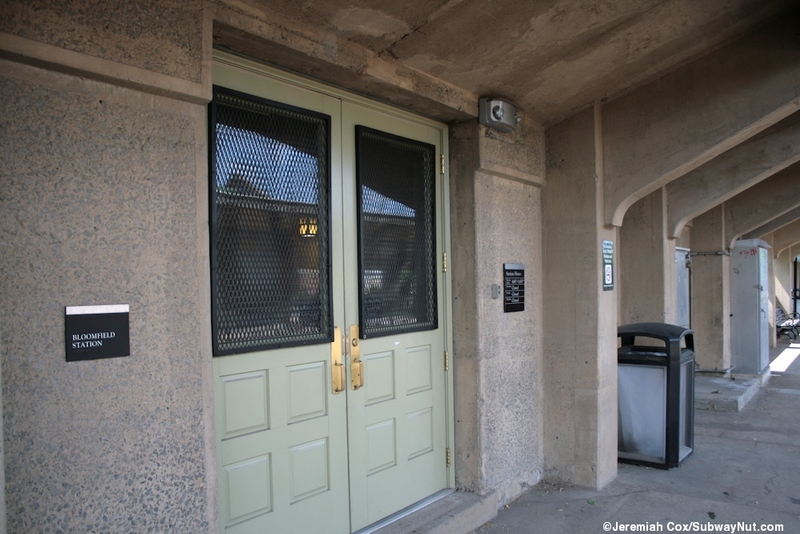 The driveway is covered and directly above a wide and abandoned entrance along Lackawanna Place that has a decorative canopy.